Coffffffffffeeeee! You forgot the awesome coffeeeeeeeeeeee! I loved the Apple Pie Bakery Café when we went there twice in the same day. It was affordable without long lines. The Bocuse D'Or (culinary competition) was held there last weekend. 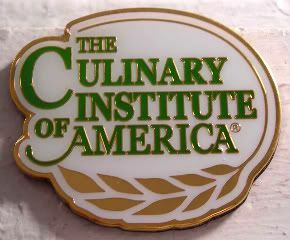 A weekend watching top chefs compete at the CIA? Delicious. I love that it's so casual. And so good! I wish the French Culinary Institute downtown would have the same set-up. Would visit often!